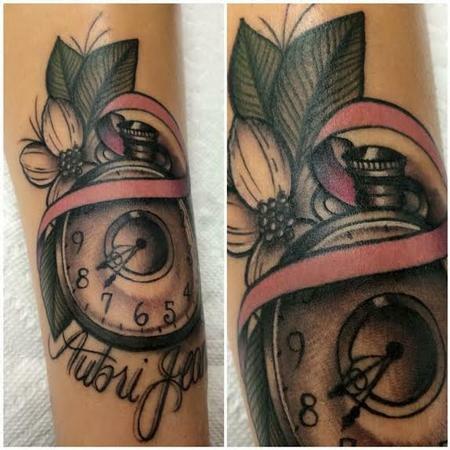 Art Junkies Tattoo Studio : Tattoos : Finished Work : Traditional color pocket watch with banner tattoo. Frichard Adams Art Junkies Tattoo. Traditional color pocket watch with banner tattoo. Frichard Adams Art Junkies Tattoo.